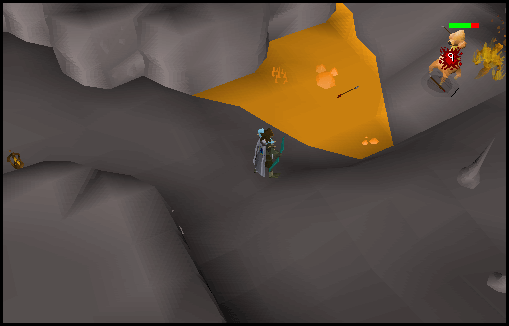 This guide will explain everything about killing those tough Dust Devils located inside of the Smoke Dungeon. 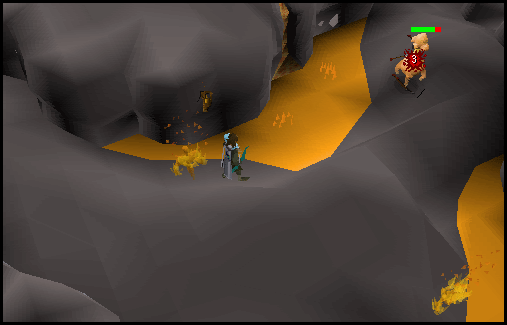 A Dust Devil is a Level 93 Slayer Monster. 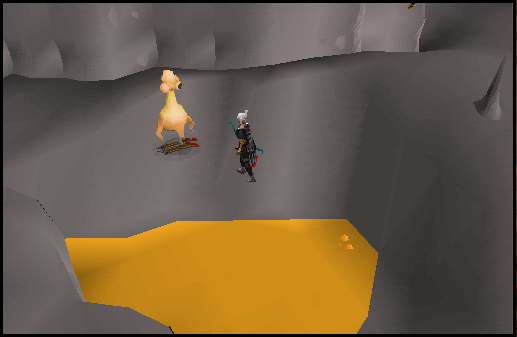 They are commonly killed, seeing as they drop the high priced Dragon Chainbody. 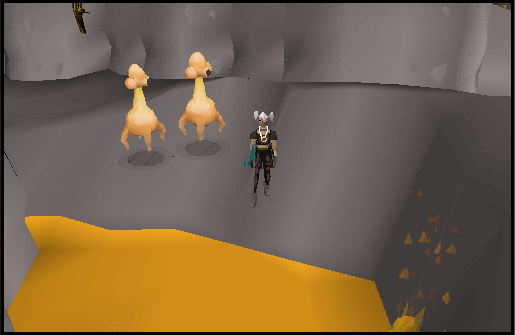 Dust Devils are located in the Smokey Well, deep in the Kharidian Desert. Start in the Shantay Pass. Go through the pass, and stop at the Rug Merchant. Pay 200 gold for a ride to Pollnivneach. Then run south, and around the sand hump. Proceed north on the opposite side of the hump, and enter the Smokey Well. Face Mask - Necessary, you will take damage in the Smokey Well without it equipped. Dragonhide - May be substituted for Karil's Great offensive range bonus ,with decent Defence. 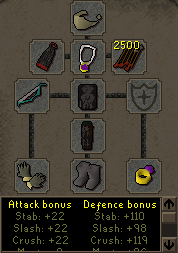 Obsidian Cape - Good Defence bonus, may be substituted with Fire Cape or Legends Cape. Arrows/Bow - May be substituted for crystal bow. Iron+ arrows recommended otherwise. 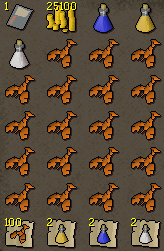 Climbing Boots - Rangers Boots are best but Snakeskin Boots also give a cheaper range bonus. Other than that climbers are a good choice. Ring of Wealth - A little luck never hurts! May be substituted for Archers Ring or nothing at all. 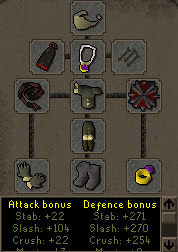 Barrows Gloves -Best range bonus. May be substituted for Black D'Hide Vambraces. Amulet of Glory - Generic amulet, can be replaced with Amulet of Fury or Amulet of Strength. Shantay Pass - A must to get into the desert. Coins - Magic Carpet ride fare. 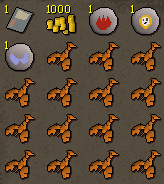 Runes - Dropped by Dust devils; I always keep some in my inventory for easy pickup. Lobsters - In case you get hurt. Nature Runes are optional, as you may obtain some battlestaffs or vambraces to alchemize. Use one of the two safespots indicated on the maps to range Dust Devils from. 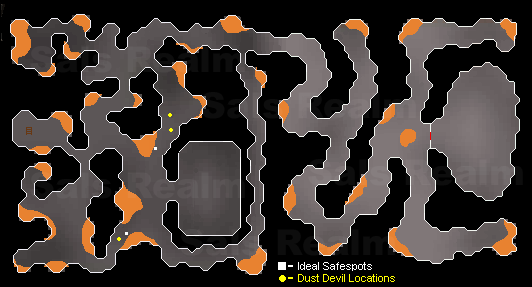 In addition to the above safespots, you may also range or mage the Dust Devils over lava. As long as there's a patch of lava between you and the dust Devil, you're safe, since they can't go through it and usually they won't try and go around it. This is a very easy way to safely range them without taking any damage! 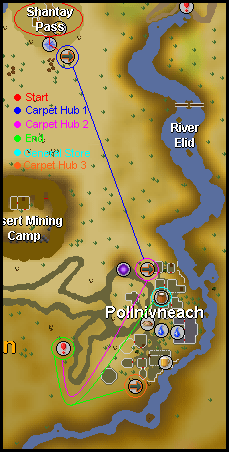 For the Northern Safespot, there is a strategy for efficient killing. 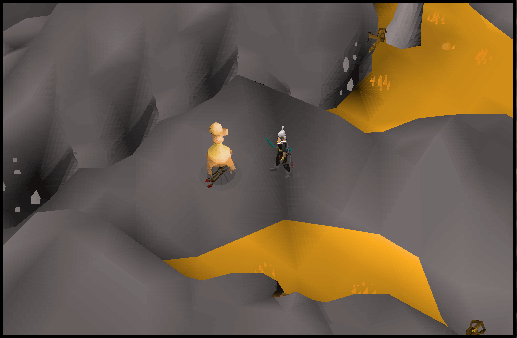 First, attack the farthest north Dust Devil, and lure him to your safespot. Then, turn on longrange attack style, and attack the more southern Dust Devil. If done correctly, you will have two Dust Devils lined up, ready to slay. Then proceed to kill the one you lured last. When it dies, it will respawn within longranging distance. If you utilize this strategy well, 3 dust devils will be easily slayed... Without leaving your safespot! It sounds complicated, but once you get used to it you'll mow down Dust Devils with speed that will surprise even yourself! Climbing Boots - +2 Strength is very nice, can be switched with rune boots for added Defence. Ring of Wealth - A little luck never hurts! May be substituted for Berserker/Warrior Ring or nothing at all. Abyssal Whip - Best weapon in the game. May be substituted with a Dragon Scimitar. Toktz-Ket-Xil (Obsidian Shield) - Good Defence, and +5 strength. May be substituted with: Rune Defender, Rune Kite shield, Dragon Square Shield, or a Crystal Shield. Barrows Gloves - Best gloves in game. Can be substituted with lower level Metal Gloves, or Family Crest Gauntlets. Shanty Pass - A must to get into the desert. Coins - Magic Carpet ride fare, and to buy/sell noted items. Lobsters - In case you get hurt. Monkfish and sharks can be used as well. Super Sets - Boosted Stats for longer trips. Noted Items - Sell and re-buy to the general store on the first map. Nature Runes are optional, as you may obtain some battle staffs or vambraces to alchemize. Note: Bones To Peaches Spell can be used there to save food, time, and money. You obtain it at the Mage Training Arena. 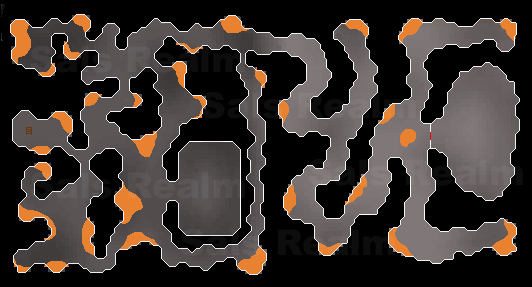 Slaughter the Dust Devils at your leisure, they are located throughout the entire dungeon. When out of food, either bank at Nardah using the Third Carpet Hub, or sell and re-buy noted items at the general store.